A Nod To The Knob! 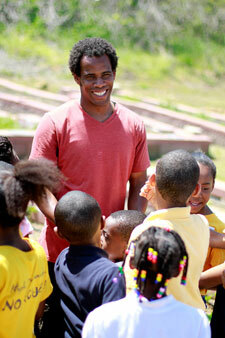 Garlan Gudger, Jr’s fascination with door knobs began as a young boy. He would spend hours sifting through the buckets of knobs sitting around his father’s antique shop looking for just the right ones that caught his eye. He quickly learned to recognize the knobs that were unique, even rare, and would pull those aside to add to his own stockpile. Over the years his fascination grew from rummaging through the store to seeking out specific knobs to add to his ever growing collection… a collection that has grown into one of the largest in the nation. Ask Garlan which knob is his favorite and you may get a different answer each time. There are SO many to choose from! 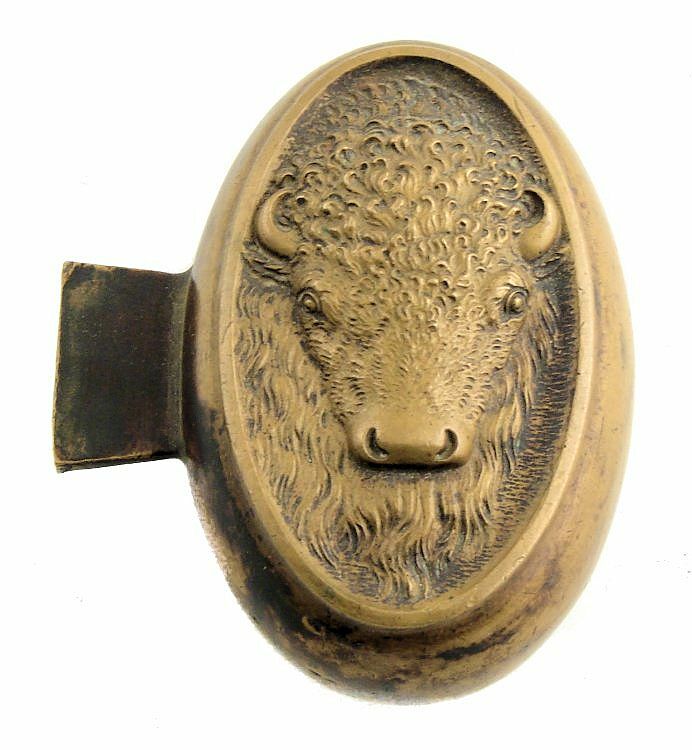 One that he often points out as his favorite is an unfinished buffalo knob. This oval knob still has the casting tab attached and is missing the shank. When this design was taken out of production by the manufacturer, this particular knob was cast aside and never finished. The knob, to Garlan, represents a wonderful work of art in progress. It is a rare and prized acquisition, one that Garlan sought out as an addition to his collection. 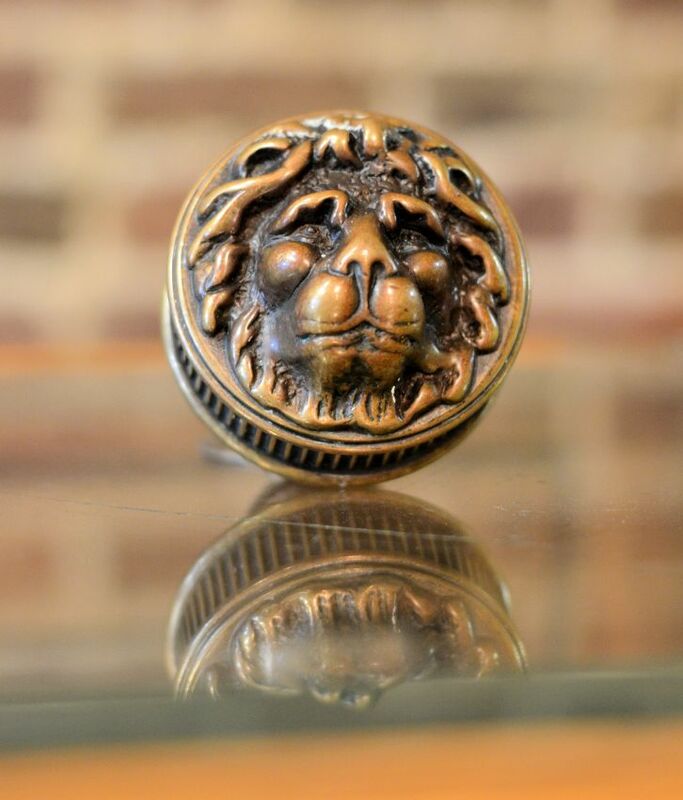 A fan favorite among visitors to our showroom is the Ludwig Kreuzinger “doggie” knob. 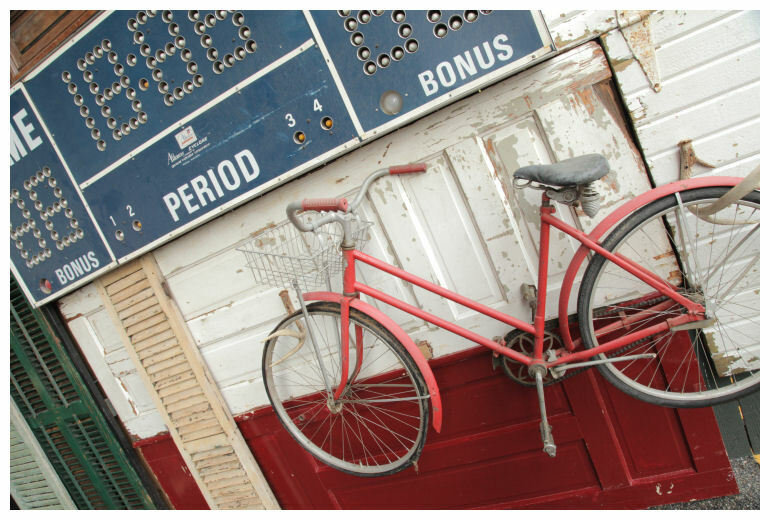 This hand crafted design from the 1870’s has been acclaimed a masterpiece of industrial art by collectors. Many would deem this knob as their most prized acquisition. The animal designs included in Garlan’s collection always draw attention from spectators and include several dogs, lions, deer, and a hummingbird, among others. The intricate detailing of each one is simply fascinating. Looking through the collection it would be hard to ignore the vast accumulation of glass, mercury, and crystal knobs. Clear to colored glass, smooth to cut crystal, controlled bubble mercury glass, the sparkle and shine of each one quickly catches the eye. 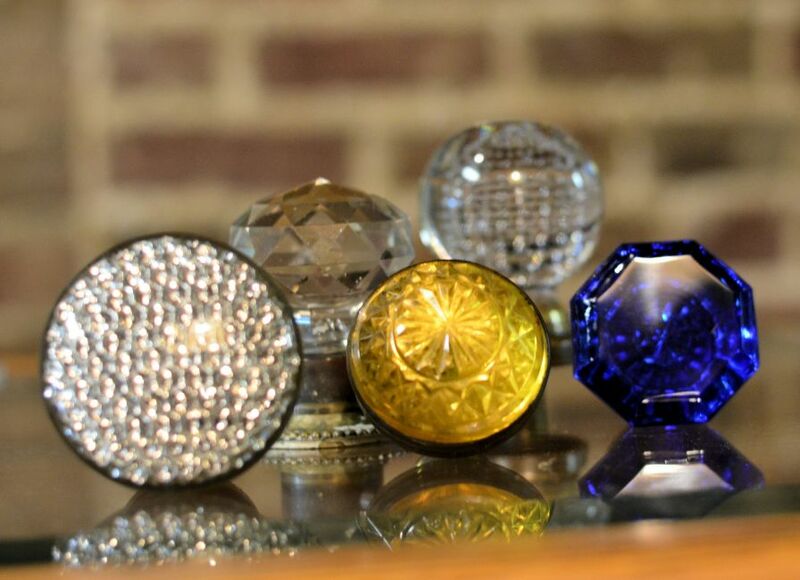 The entire door knob collection is currently on display in Southern Accents showroom. Stop in for a visit and tell us which one is your favorite! 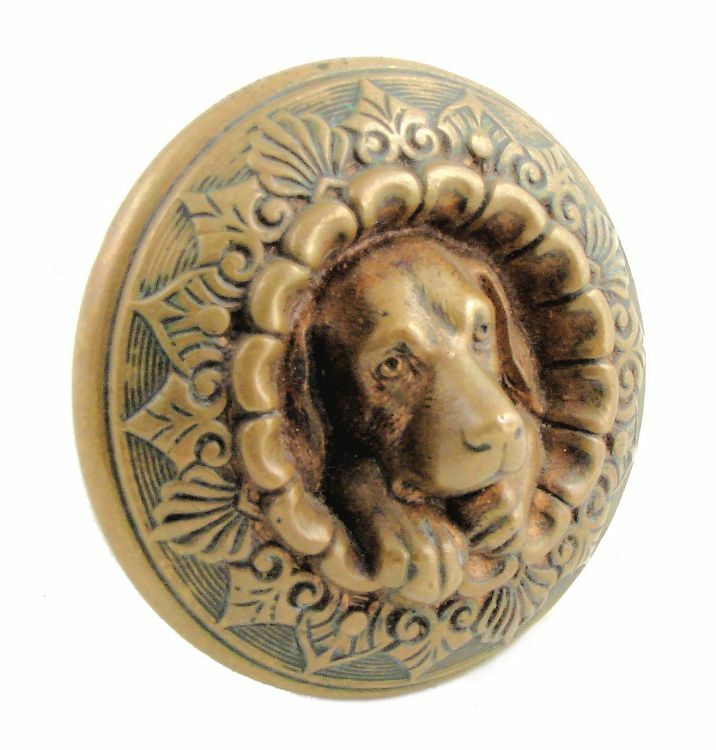 Of course if you’re looking for a little door bling of your own, we have a large selection of antique knobs and backplates to choose from. 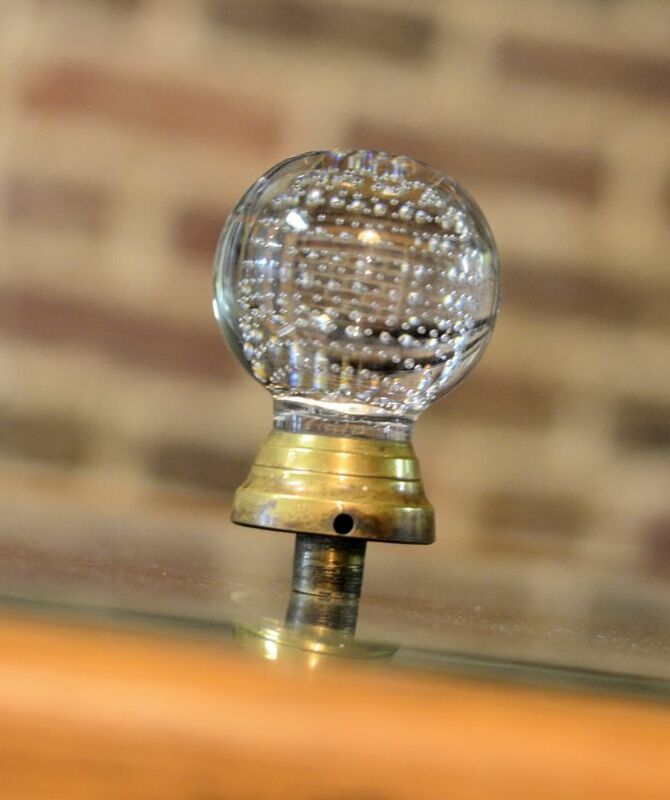 Whether you fancy cast brass, glass, or porcelain, we are sure that you will find the perfect knob that will add just the right amount of character to your door. Visit us online or stop by our showroom to view our ever growing selection. The lion was probably the most popular animal motifs used by 19th century industrial artists. This controlled bubble knob catches everyone’s eye! 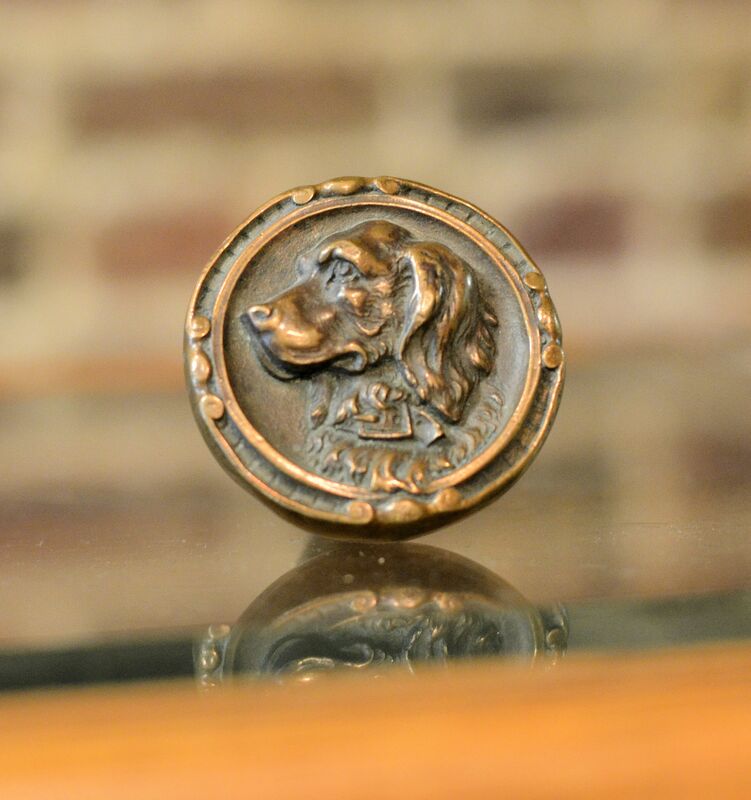 Another favorite… the Irish Setter knob, circa 1890. 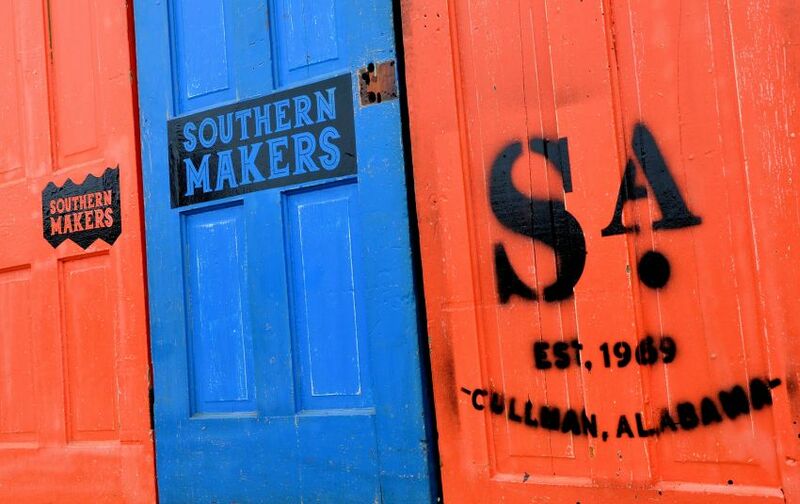 Gather the most talented group of artists, craftsman, chefs, musicians and designers in Alabama for one day in a curated event and what do you get… Southern Makers Success! 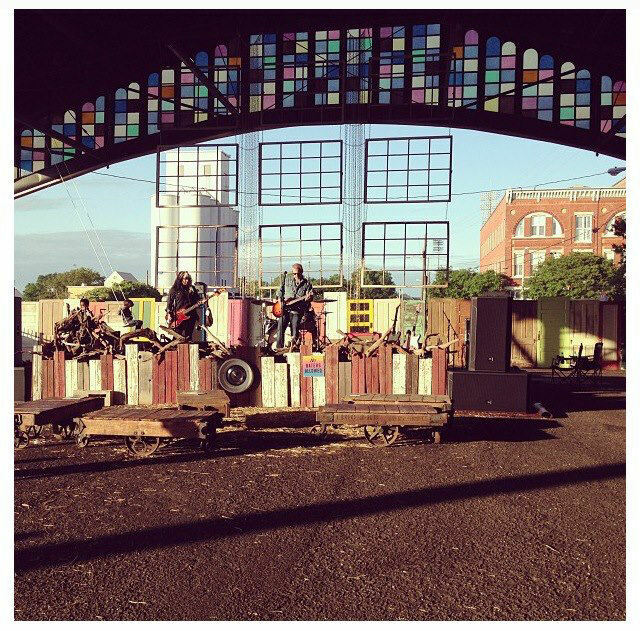 We were privileged to be able to ‘set the stage’ for this debut festival at the historic Union Station Train Shed in Montgomery, Alabama this past Saturday. The first time event was extremely well received, drawing an estimated crowd of around 1,500 despite questionable weather earlier in the day. If you missed this event you will want to mark your calendars and make plans now for next year… we’re going back! Southern Accents jumped on the band wagon a little late in the game, but it didn’t take us long to catch up! We worked tirelessly for several weeks proceeding this event designing and constructing five unique areas for the sold out festival: the entrance, stage, work shop area, inspiration chalkboard, and the “collage” dumpster wall. 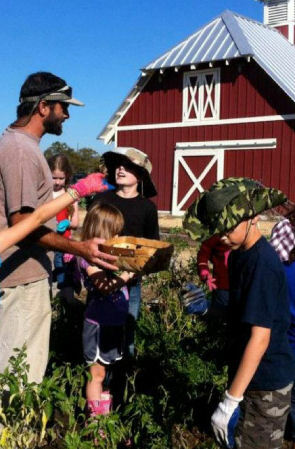 Southern Accents mission to rescue, restore, and protect articles of historic significance fit seamlessly with the overall theme of this event. 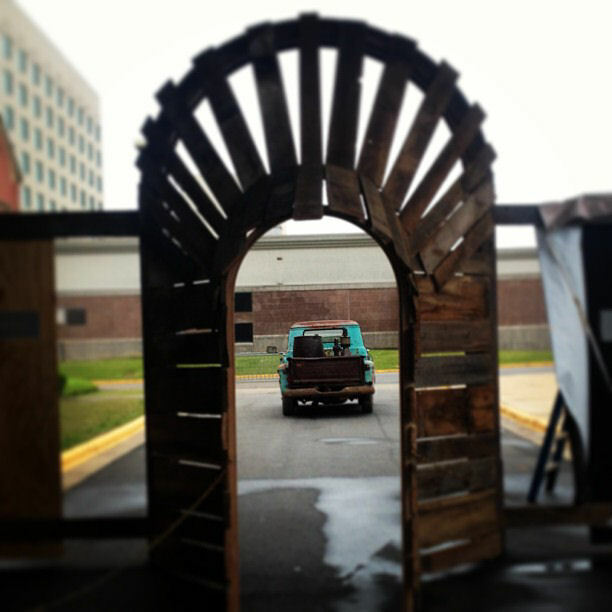 Southern Makers attendees first view Saturday afternoon was a timber frame entrance that we constructed specifically for the event. We couldn’t help but show off our new toy, a 1955 Chevy truck, parked just outside the entrance! 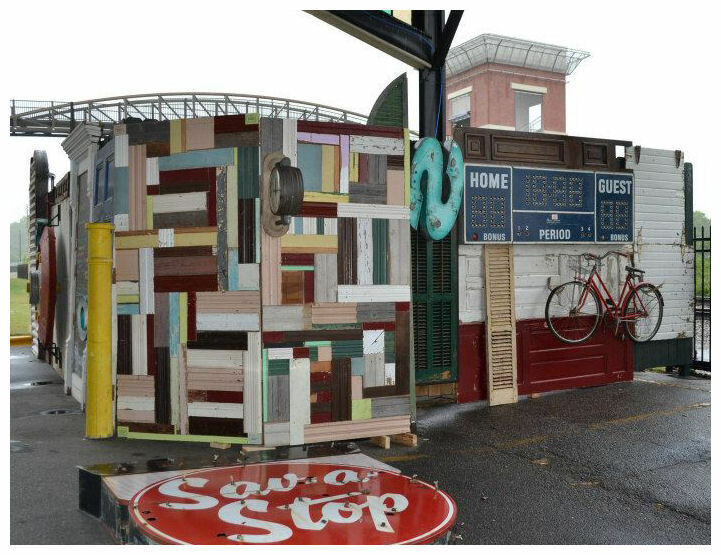 Inside the shed, we transformed the wood fencing surrounding the dumpster into an artistic display of salvaged goods. Our large “What Inspires You” chalk board was in the middle so the kids and “kids at heart” could draw and write about what inspires them. Throughout the day, many took time to leave their mark on the board, letting us know where they derive their inspiration. A wall of brightly colored antique doors created a backdrop for the stage which was fronted by salvaged barnwood. Windows connected with chain and decorative chain drapery seemed to hang from the sky overhead, while wooden carts were scattered around to create seating. Rounded church windows, old shutters and a salvaged wood table top created just the right atmosphere for the workshop area. The background for the workshop area was a gorgeous display of arched church windows and old shutters. We also constructed an artistic table from a collage of different colored salvaged wood, beadboard and fluted trim that served as a display counter for the various speakers. We are already brainstorming to come up with new design ideas for next year’s festival! 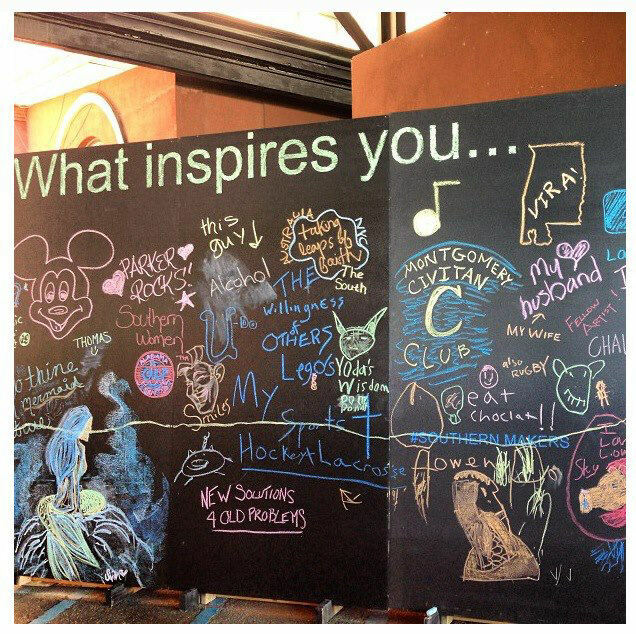 The “What Inspires You’ chalk board drew a lot of attention! A close up of the dumpster wall. One of four trailers loaded and ready to roll to Montgomery! There has been an artistic renaissance developing in Alabama for the past several years. Creative artisans in the fields of food, fashion, art, architecture, and music, all passionate about their individual industry, have been working independently to promote their wares. This Saturday they will all gather in one location for the first time! The historic Union Station Train Shed in Downtown Montgomery, Alabama will host a juried selection of talented artists and craftsmen, the best of the best, from across the state. Saturday, May 4th from 2:00 pm to 7:00 pm this highly-curated, one day event will bring together legendary artists, chefs, craftspeople, farmers, brewers, purveyors, designers and musicians. Event goers will be able to explore the creative heritage that is Alabama through demonstrations, workshops, tastings, conversations and concerts. There will also be a curated market bazaar featuring goods for sale from Alabama’s top makers. 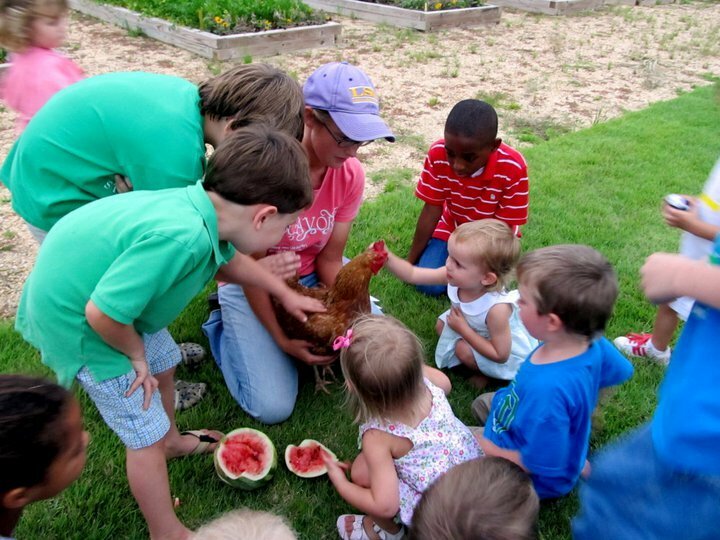 All proceeds from Southern Makers will benefit E.A.T South, a non-profit organization that encourages healthy lifestyles through education and sustainable food production in urban areas throughout the Southeast. When Southern Accents owner Garlan Gudger was approached about becoming involved with this project, he jumped at the chance. 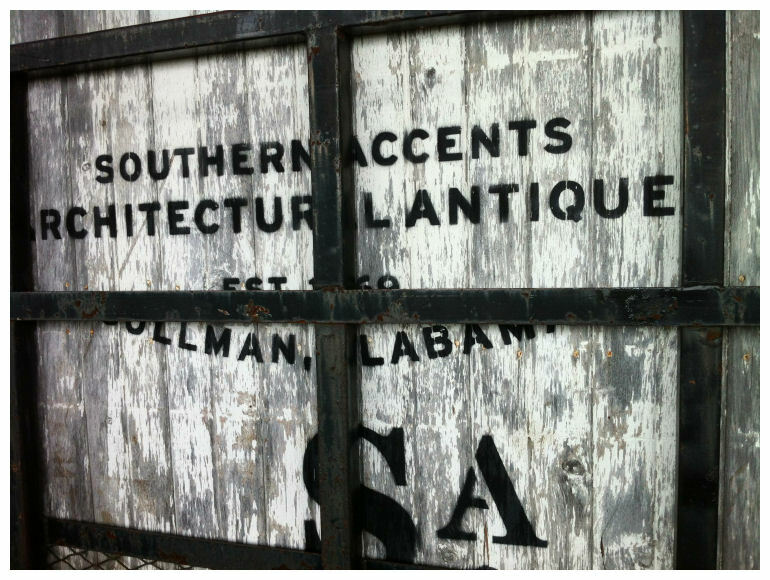 “In recent years, Southern Accents has had the opportunity to incorporate architectural salvage into projects for many of the individual makers. There has never been an event like this designed to bring everyone together. We are thrilled to be able to bring our creative ideas to the table in designing and installing the arena for this momentous event. The chance to join forces and work side-by-side with a collective group of the most talented people from across the state is exciting. 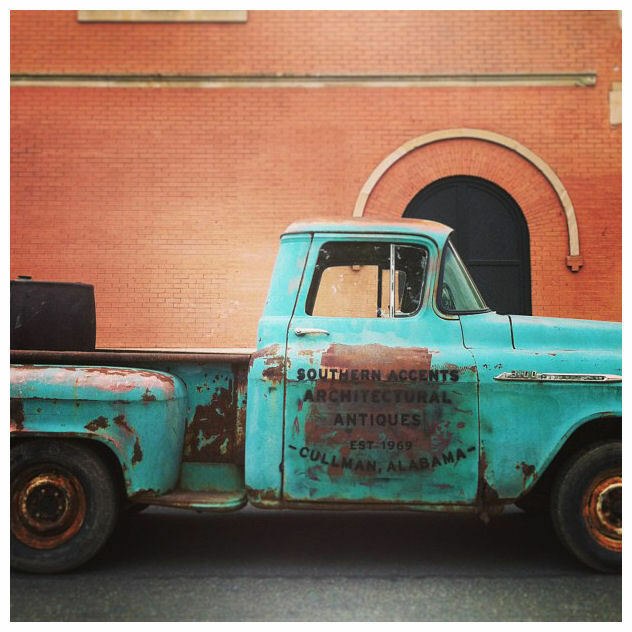 Southern Accents responsibility is to use their architectural salvage to create an atmosphere for the show that inspires not only the makers but attendees as well,” said Garlan. Garlan will be a panelist for the conversation series “Revitalization of Places Past” which will take place Saturday at 5:00 pm inside the historic Montgomery Visitor Center. Discounted pre-sale tickets are available at www.southernmakers.com for $10 per adult and $5 for children ages 10 to 15. 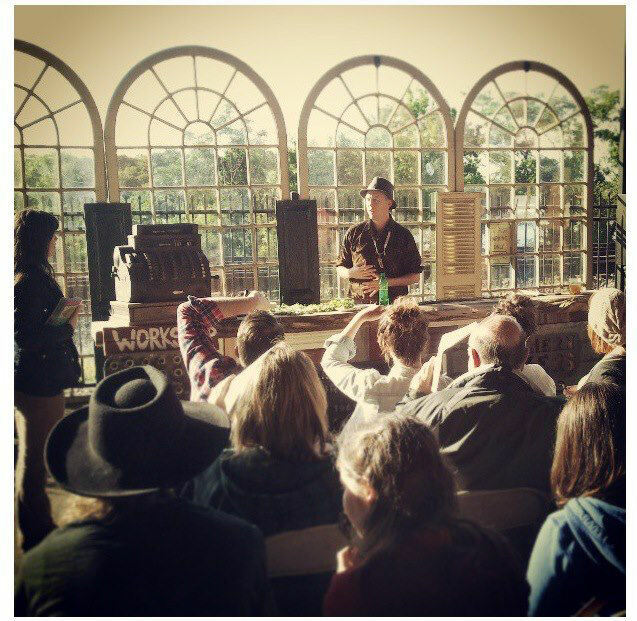 Visit www.southernmakers.com for a complete list of makers, workshops, conversation series, and other info.